In the 1990s a group of like-minded friends ran a music collective called Vector. We organised live electronic music events in various small venues in Leeds and DJ’d at numerous events and festivals around the UK such as Lovebytes (Sheffield), Sightsonic (York) and Ultrasound (Huddersfield). 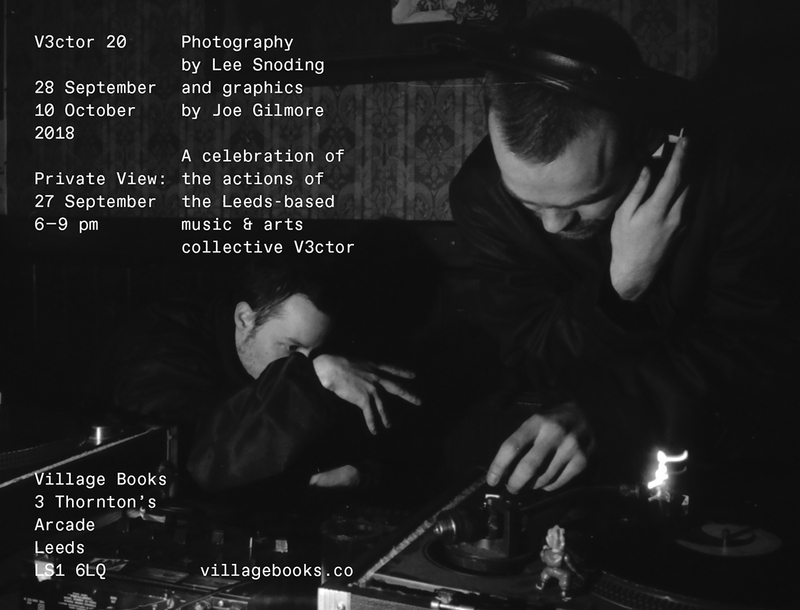 This exhibition at Village Books in Leeds features photographs by Lee Snoding and some of my early graphic design in there form of photocopied fliers and posters. 28 September – 10 October 2018. PV Thursday 27 September.